The 2018 edition gives customers the best possible choice, with prices to suit every budget. This year, Arco has introduced over 250 new products to ensure it offers the latest in product development and innovation from its own brands as well as specialist leading brands. 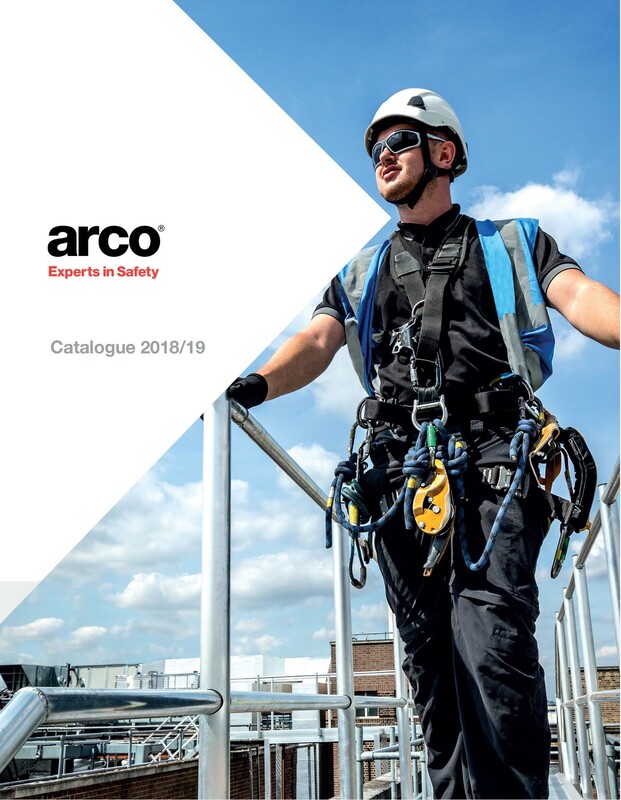 Dedicated to keeping people safe at work, Arco is the expert partner for businesses across all industry sectors, whatever the health and safety challenges those business owners may face. With product quality and compliance one of the most important factors for customers when choosing their supplier, Arco has invested heavily in its own, in house, independently accredited Product Assurance Laboratory. The company is taking the lead to drive improvements in quality standards across the industry and customers can be sure the products they buy from Arco meet the required standards and will protect their workers. Arco is also making it easy for customers to keep up to date with the recent changes in standards. For cut resistant gloves, the Arco Cut Control System has been updated to comply with the latest EN388:2016 standard. Glove protection is easily identifiable from the use of the number/letter and colour combination to ensure users are always aware of their protection levels. Innovations in hand protection focusses on a range from HexArmor, offering ultra-high cut and needlestick protection, featuring revolutionary cut resistance with SuperFabric technology. Gloves can offer unique needlestick protection to ASTM F28278 hypodermic needle puncture test levels 4 and 5. Following changes to legislation in ladder safety and the introduction of EN 131, the one single ladder standard update is aimed to improve the safety of ladders, reduce ladder related accidents and make the process of selecting the right ladder straight-forward. The new catalogue features ladders that are fully compliant with the new standard, making the selection process simple and accurate. A key introduction in hazardwear is a new range of multi-norm garments from Sion including a polo shirt, softshell, coveralls and waterproof jackets all conforming to multiple European Standards. Available in hi-vis yellow and orange, arc, FR and anti-static in lightweight inherent fabrics. Office Wear has also been expanded, with the introduction of new brand Kustom Kit offering corporate shirts in a wider range of colours plus Rowlinson, offering knitwear designs for the corporate market. The new Regatta contrast range allows wearers to mix and match garments with coloured features and details, with the option to have them branded with a corporate identity by the Arco Clothing Centre - an easy solution to creating on-brand uniforms. In the safety footwear section, customers will find new styles in the popular Trojan range that look good and work hard with a safety hiker and trainer designed for comfort and style with nubuck leather or canvas uppers that make these styles breathable and lightweight. Finally, through Arco Professional Safety Services, customers can ensure their teams are safe and compliant with training and consultancy services. Experienced, safety and health practitioners work with clients to understand what safety looks like for their organisation. To get your copy of the new Arco Big Book, visit your nearest store or go online to http://www.arco.co.uk/catrequest.